Team SUPERFIT Hampton Roads! Saturday, May 6th @ CFS! 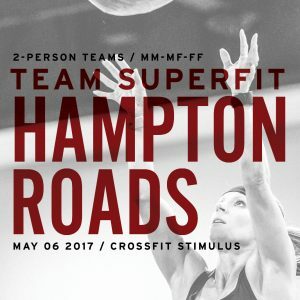 Team SuperFit Hampton Roads is just one week away! You have until Tuesday, May 2nd to register your dream team! We are also looking for JUDGES! Judges will get a free t-shirt, meal, and water and snacks throughout the day, as well as lots of gratitude! RX – Should be able to complete “Girl” workouts as prescribed. Often times weights can be heavier than those “Girl” workouts. Please look at workouts from previous SuperFit competitions (all posted on our website) for general guidelines for weights and movements. 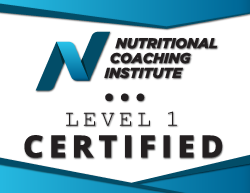 Novice – Novice division workouts will closely resemble those in the RX division, but the loading, reps, and difficulty will be reduced. Movements that may appear in Novice division workouts include: double unders, pullups (chin over bar), and toes to bar. Masters – Masters division workouts will closely resemble the loading, reps, and difficulty seen in the in the Intermediate Division. In order to be on a Masters team, BOTH team members must be 40+.